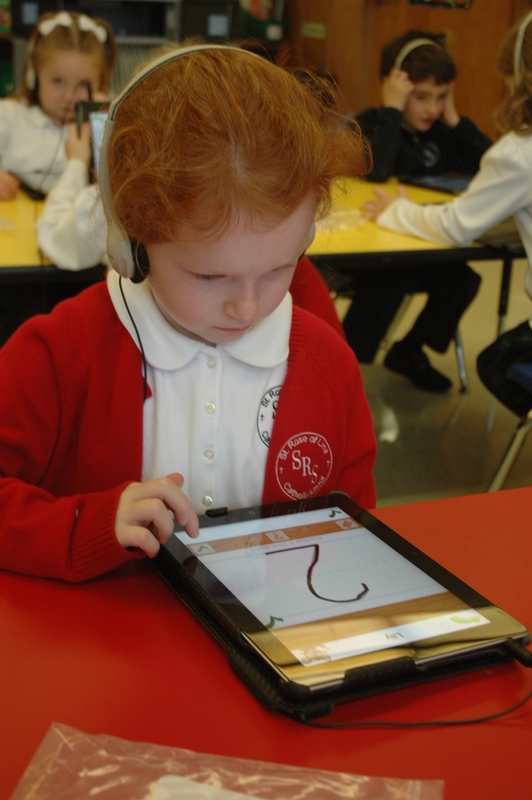 At St. Rose of Lima School, we recognize the vital role that technology plays in every aspect of a student’s life. Our students begin computer instruction at an early age so they can utilize the latest technology for problem solving and critical thinking skills as they enter into the world of robotics, scientific exploration, art graphics and engineering by design. Students are provided an opportunity to engage in well-defined cross-curricular projects using our state-of-the-art technology systems and tools. These include in-depth research and writing presentations, robotics design, video production, musical production, art graphic products. Digital safety is a topic weighing heavily on our minds. We are committed to educating students about the responsibilities that come with technology. We host educational assemblies for students and parents, provide resources for parents and teachers, and have User Policy Agreements. A School Climate Committee reviews safety policies, including efforts to protect students from cyber bullying.Information regarding the seriousness of cyber bullying and the importance of cyber safety is available here. Resources include downloadable internet and cell phone use contracts. The National Crime Prevention Council provides a wide variety of topics regarding personal safety, including internet safety and information on cyber bullying.